RFID Solutions | Taylor Data Systems, Inc.
Great for asset tracking or inventory management, the IF2 RFID reader from Honeywell is compact and cost effective, yet powerful and reliable. 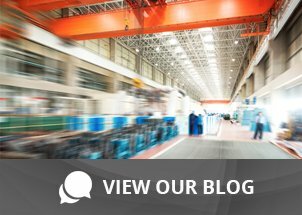 It works well in any RFID application that requires accuracy and a low cost to read, especially in industrial, manufacturing or warehousing environments. The IF2 RFID reader runs with power over Ethernet, so it’s inexpensive to install and operate even in areas where no available AC power. It can also run with DC power by adding an optional converter. Either method provides sufficient power for the unit’s full 30 dBm output. Each RFID reader includes a built-in powered GPIO control for input and output, enabling direct monitoring and control of peripherals and signal lights without requiring additional power. It uses Bonjour, Universal Plug and Play (UPnP), Intermec Smart Systems Client or Intermec Web Services and Web Configuration Interface for management and configuration. The IF2 RFID reader has 4 reverse-polarity TNC antenna ports that can be configured for either mono- or bi-static mode to provide optimum performance of the application in any environment. 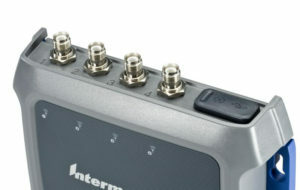 Intermec provides a variety of optional antennas for even more flexibility and performance. The output power ranges from 1 to 30 dBM, configurable in 1 dB increments, and operates over either FCC 902-928 MHz or ETSI 865-868 MHz. Passive UHF protocols include ISO 18000-6B and -6C and EPCglobal UHF Class 1 Gen 2. It operates with NXP G2X, Impinj, Monza 4QT extensions or high memory tags from Fujitsu, Tego and ATA. The IF2 RFID reader is compact, so it can be installed in a small footprint in virtually any environment, making it ideal for asset tracking or inventory management applications. The IF2 is certified in multiple regions around the world, supporting global deployments and standards. The device is factory configured to operate in specific regions. The Intermec Smart Systems Foundation console allows administrators to remotely change settings on the device, or to send application or firmware upgrades and to perform other changes as necessary. This remote management capability saves time and money, reducing the cost of maintaining the devices. The IF2 RFID reader is designed to stand up to the rigors of a manufacturing, warehousing or industrial environment. The die cast magnesium and Lexan enclosure is sealed to withstand dust and moisture, and it can operate across a wide range of temperature and humidity conditions. Despite its low cost per read, the IF2 is extremely reliable and accurate, providing a superior ROI over competing units and keeping downtime to a minimum. For more information on the IF2, or if you’d like to learn more about the advantages of RFID in your environment, contact us today.